The first Open Knowledge Finland meet-up will take place in Helsinki on 30 November 2011. 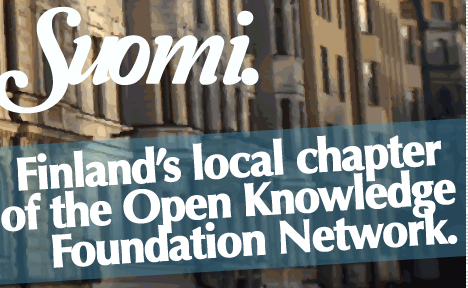 One of the main aims of the meet-up is to facilitate the foundation of a Finnish Chapter of the Open Knowledge Foundation. The event is free of charge and open to anyone interested in open knowledge.